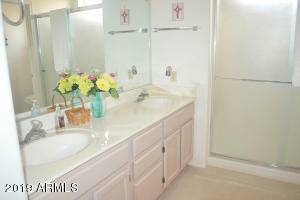 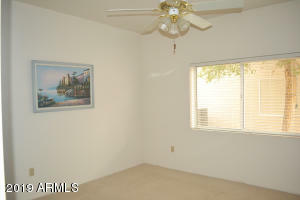 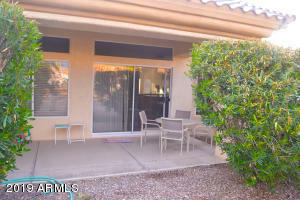 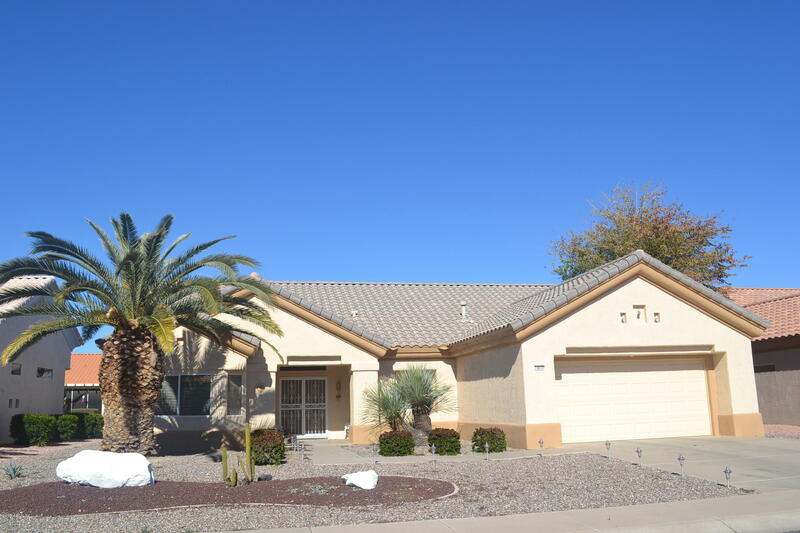 Popular Chandler model featuring 2 bedrooms, 2 bathrooms plus laundry room w utility sink. 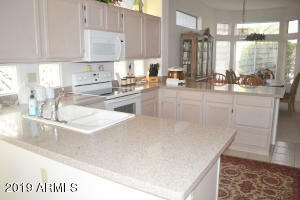 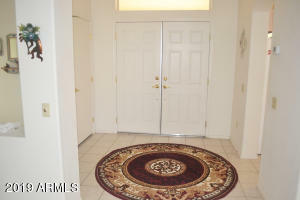 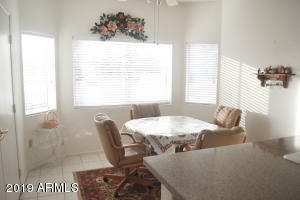 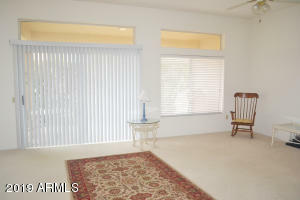 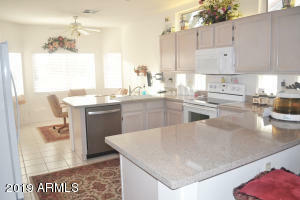 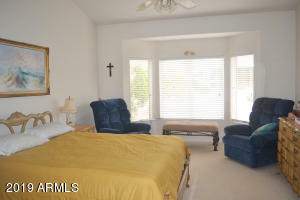 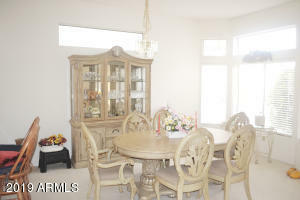 Kitchen is light and bright with granite countertops, bay window, newer appliances (stove, fridge, microwave, dishwasher). 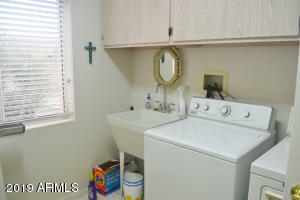 AC & water heater replaced 2018. 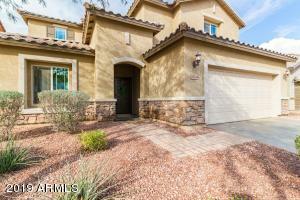 New garage door. 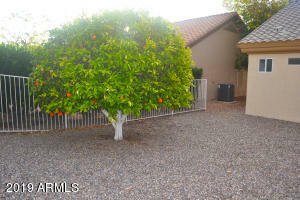 Nice private backyard with fruit trees, covered patio. 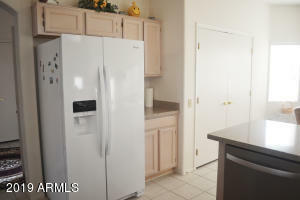 Desirable N/S exposure, oversized garage with cabinets for storage. 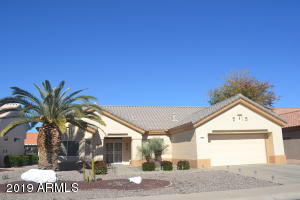 Come see this amazing home! 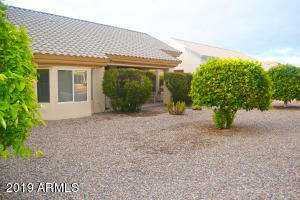 From Bell Road, North on El Mirage to Deer Valley, Right on Mirage Lane, Right on Territorial to Property.